Copying files and directories around is a pretty common task, and there are all sorts of ways to accomplish this in Unix. But I have a strong preference for using the rsync command because (a) it allows me to copy files either within a single machine or between systems over the network, (b) it can keep directories in sync, preserve timestamps, ownerships, etc, and (c) it's smart enough to only copy files that have changed, which is a big savings on time and bandwidth. The "-a" option combines the most common rsync options for copying and preserving directories: "-r" for recursive, "-ptog" to preserve permissions/timestamps/owner/group owner, "-l" to copy symlinks as symlinks, and "-D" to preserve device and special files. The only useful option not included in "-a" is the "-H" option to preserve hard links. Even though "-H" adds extra processing time, I tend to always use it, just to be on the safe side. Without the trailing "/", rsync copies the entire directory, including the top directory itself. With the trailing "/", the contents of the source directory are put into the top of the destination directory. Here I'm using "--exclude" to not copy the object files, just the source files. You can put multiple "--exclude" options on a single command line, but after a while it gets annoying to keep typing the same set of excludes over and over again. So there's also an "--exclude-from=<file>" option to read in a list of exclude patterns from the file "<file>". You thought you had me with your fancy shmancy rsync, didn't ya, Hal? Well... ha! A couple of years ago, you'd have been right, because there was no good built-in Windows tool for synchronizing directories. The xcopy command is a decent file copy too l, but it doesn't really police file updates to maintain synchronicity (and yes, that oblique reference to "The Police" was intentional). A couple of years ago, you'd have to install a separate tool for synchronizing. A really nice tool for doing that is robocopy, available in various resource kits, such as the Windows 2003 kit here. But, here's the really good news: robocopy is built-in to Vista and Windows 2008 server! It's a really nice synchronization tool, and its name is far cooler than the rather pedestrian "rsync". 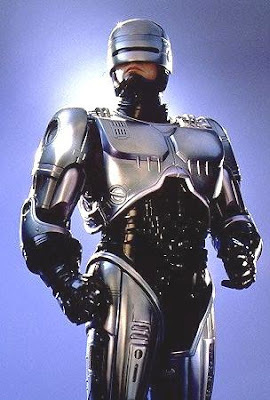 "Robocopy" sounds like a cool mechanized buddy, or perhaps even a robotized superhero law enforcement officer. The /s makes robocopy recurse subdirectories. You could put the /s up front, but, generally speaking, it's best to put the source and destination directories first with robocopy, especially when you start to define file and directory exclusions. Note that robocopy cannot copy hard links, so we lose them (i.e., there is no rsync -H equivalent). Note also that robocopy works the same way whether you specifiy dir1 or dir1/, unlike rsync. That's ok with me even though it is slightly less flexible, as there is less of a chance that I'll screw something up. Another nice feature associated with using robocopy across a network involves what happens when network connectivity is lost. If you invoke it the right way, robocopy maintains status so that it can pick up where it left off when doing a copy. When you invoke robocopy, use the /z option to run it in restartable mode. The /z makes it maintain the status information necessary to restart a copy that is interrupted. If you want to keep directories in sync (removing files from the destination that have been deleted from the source), you can use the /MIR option (/MIR actually means /E plus /PURGE). As with rsync, robocopy will copy all files by default. To omit certain files, we have a huge number of exclusion options, such as /XF to exclude files and /XD to exclude directories, both of which support wildcards with *. If you'd like to copy all file attributes, ownership information, and file permissions, invoke robocopy with /COPYALL.